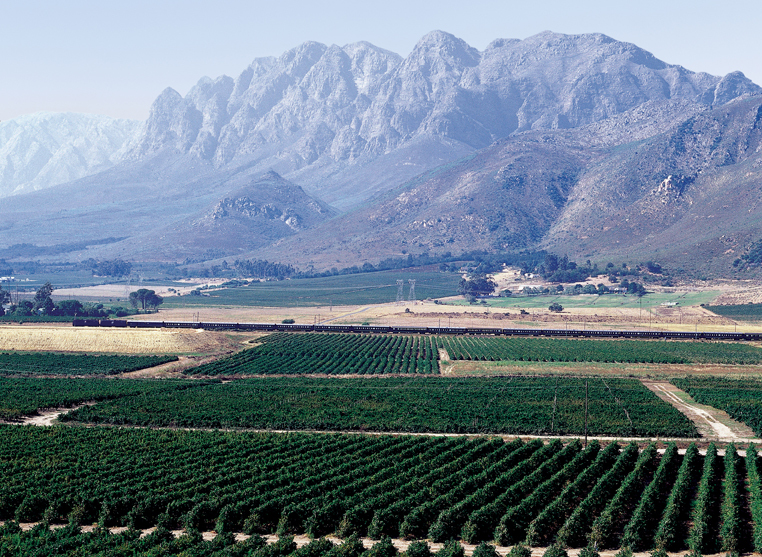 "For many visitors to South Africa, there is no finer way to see the country than on the popular 48-hour weekly journeys between Pretoria and Cape Town." 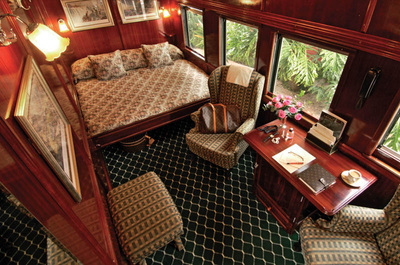 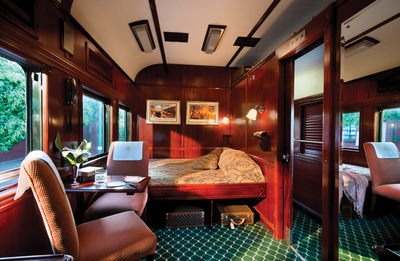 Even if you are not a Train enthusiast, one of the best - and certainly most luxurious - ways is to take the Rovos Rail trip between Pretoria and Cape Town. 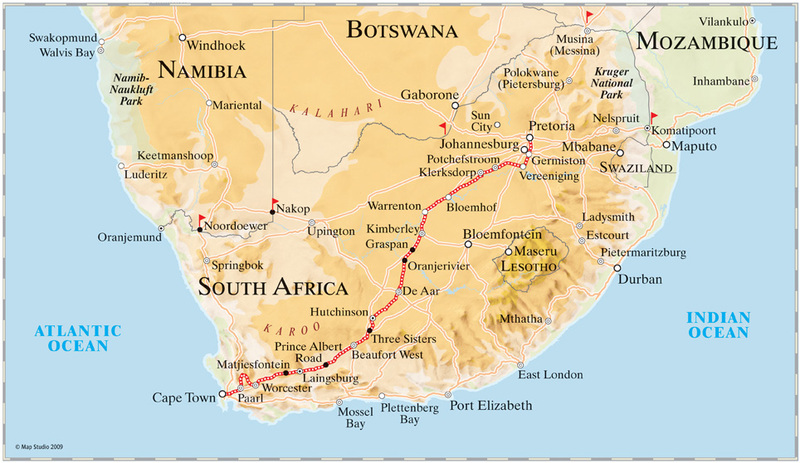 This gentle journey of some 1 600 kilometres is 48 hours long and takes you across the every changing South African landscape, with more variety that you might imagine! Your stately progress takes in the grasslands of the Highveld (home of South Africa’s gold riches), across the vast and seemingly barren Great Karoo, before entering the spectacular mountain scenery that heralds the start of the Cape’s famed Winelands. 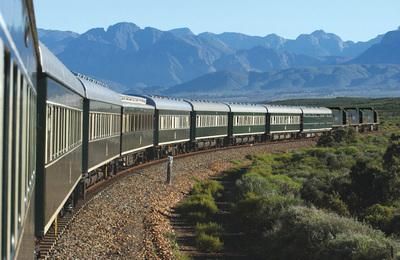 Your fascinating Train journey ends in Cape Town, affectionately known as the Mother City. 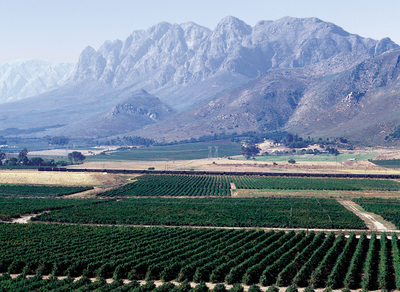 Here you will find the unique Table Mountain, Devil’s Peak and Lion’s Head – the backdrop that makes Cape Town, arguably, one of the most beautiful cities in the world. 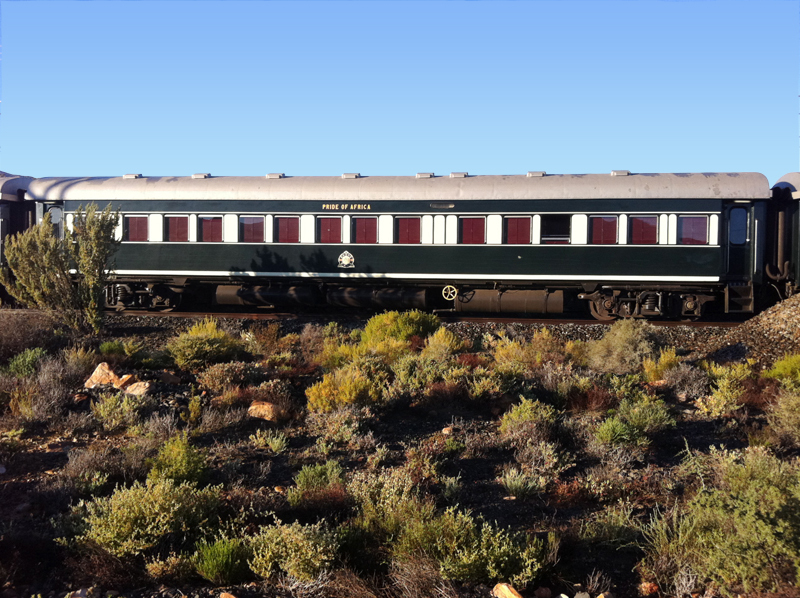 Highlights of your Luxury Train trip (whether on the South or North bound itinerary) include a stop at historic Matjiesfontein (a perfectly preserved and authentic Victorian Village). 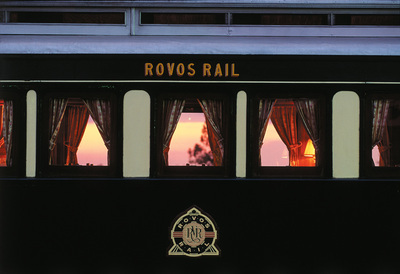 The village was founded by a certain Mr Logan in 1890 as a refreshment stop, and is also now home to a wonderful little museum set on the Platform at the station. 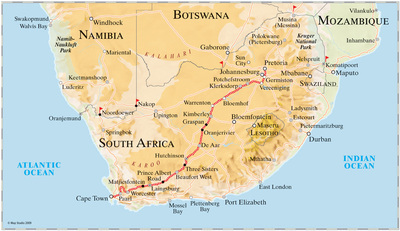 You will also enjoy a stop in famous Kimberly, with time for a city tour, and a visit to the Diamond Mine Museum. 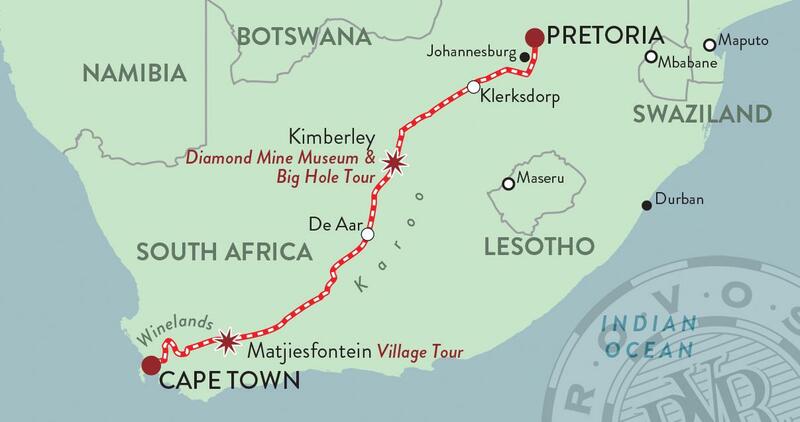 This is finished off with the aptly named Big Hole – the biggest man-made excavation in the world.